A mirror polished wallpaper scraper from Blue Spot Tools. This scraper, filler knife, comes complete with a soft grip handle to provide perfect comfort for prolonged use. 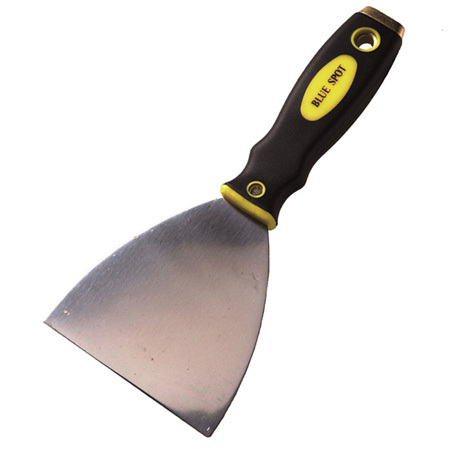 This scraper has multiple DIY and household uses including removing old wallpaper after treatment, paint from doors and glass after treatment. Robust, professional construction. Product dimensions are 22.7 x 7.5 x 2.3 cm.